With improved access to oral health care, widespread fluoridation and good dental hygiene, retaining natural teeth for a lifetime seems to be an achievable goal. However, according to the Centers for Disease Control and Prevention, 25 percent of American adults have lost all their teeth, and more than half of adults over the age of 50 have lost more than 10 teeth. Younger adults are at risk of losing their natural teeth as well. According to the National Health and Nutrition Examination Survey, adults between the ages of 20 and 64 have an average of 24 out of 32 natural teeth remaining. An astounding 4 percent of adults in this age range have no teeth remaining. Tooth loss is associated with poor nutrition, improper oral hygiene, tooth decay, periodontal disease and trauma. Studies have also indicated that individuals who smoke or are low-income may be at the greatest risk of suffering from tooth loss. 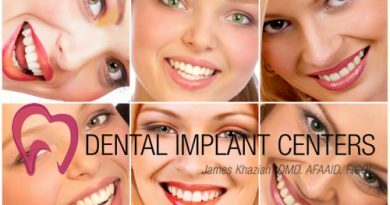 Dr. Khazian, the leading San Diego dental implant expert, recommends good dental hygiene and routine dental checkups to help reduce the risk of tooth decay and gum disease.